You’d have to drink nearly 100 cups of coffee to reach that lethal level, and your body would start rebelling long before ingesting that amount. But it’s easy to get powdered caffeine in today’s online world, and young people especially have overdosed on it. Caffeine pills, like No-Doz, are a less potent but still concentrated form of caffeine and can be risky if not taken as directed. Athletes sometimes rely on anhydrous caffeine powder and pills as performance supplements, but in small doses. These concentrated substances enter the bloodstream much faster than coffee or caffeinated beverages. 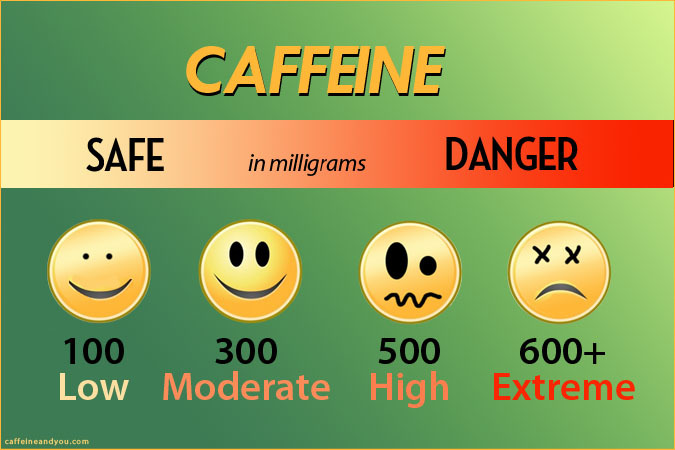 Even with typical dosages, caffeine can interact with some prescription drugs to create unintended overdose, usually by impacting the cardiovascular system. Caffeine and anxiety disorders also don’t mix. People prone to anxiety and panic attacks are advised to steer clear of caffeine. Among the general population, high doses of caffeine may increase anxiety, nervousness, and restlessness, but this rarely happens at low to moderate doses (one to three cups of coffee, for instance). Michael Lee Bedford, the young man who overdosed on caffeine powder in Chapter 4, wasn’t looking to feed an addiction, not in the same way a heroine addict overdoses while getting high. All indications suggest Bedford was simply unaware of the potency of the powder, and had no idea caffeine could put him at such risk. His wasn’t a case of addiction, but rather an accident caused by ignorance. As mentioned, you’d need to consume about 100 cups of coffee to reach a lethal level of caffeine. On the other hand, caffeine powders and pills are concentrated and far riskier; as little as 2 grams of anhydrous powder can lead to caffeine intoxication, overdose, and even death (depending on a person’s size and health). Alcohol mixed with energy drinks can also be dangerous. For most people, as much as 500 mg a day (about seven Starbucks espressos) is considered safe, though not necessarily advisable; pregnant women and people with heart conditions should consume less. Yet gauging how much caffeine you’re consuming can be tough. Manufacturers must list caffeine only when it’s been added to the product, and they’re not required to specify the amount. When caffeine occurs naturally (as in coffee, chocolate, and tea), they’re not required to list it at all.